A little girl, her friend and her mom have a conversation about what to do when she grows up. To which, the mother laughingly says that her daughter could even do TWO things (or however many she would like). This is my first foray into the Roman children’s books and let me tell you – this one did not disappoint! 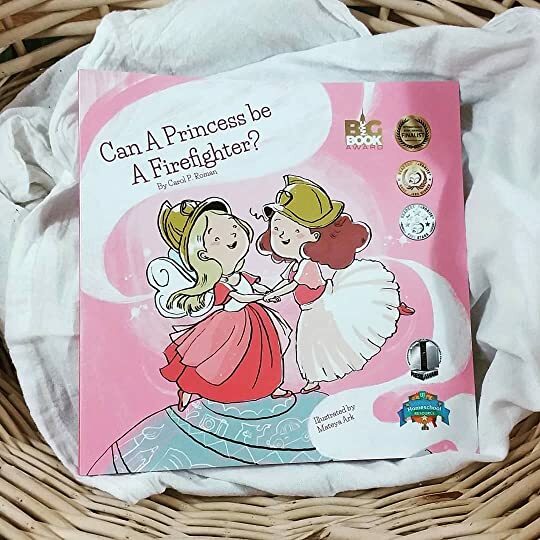 Can a Princess Be a Firefighter was an absolute delight from cover-to-cover. The words were sweet and fun, the pictures were extremely well done and the whole book just felt like a fabulous read. I loved how this is an empowering book for young girls – BUT – it doesn’t fall into the girls-should-focus-on-careers trap. Roman wants to assure girls that yes, they can all do that and more – but they don’t have to give up their girly side. I feel is an extremely important message to pass along – especially to young children who have the tendency to see the world as an either-or situation. Definitely one I will keep on my shelves forever. Don’t let anybody limit your dreams.